Mothers, sisters, wives, girlfriends and fiancees! What would we ever do without them? No one can genuinely say that we don’t owe an enormous hug and thanks to the ladies of our lives. Only they have the special power to tackle the different ups and downs of the day-to-day life. Women’s Day is about celebrating these incredible women and showing them how much we love, respect and value them. And, Velocity was no less in making the day special for their women employees. 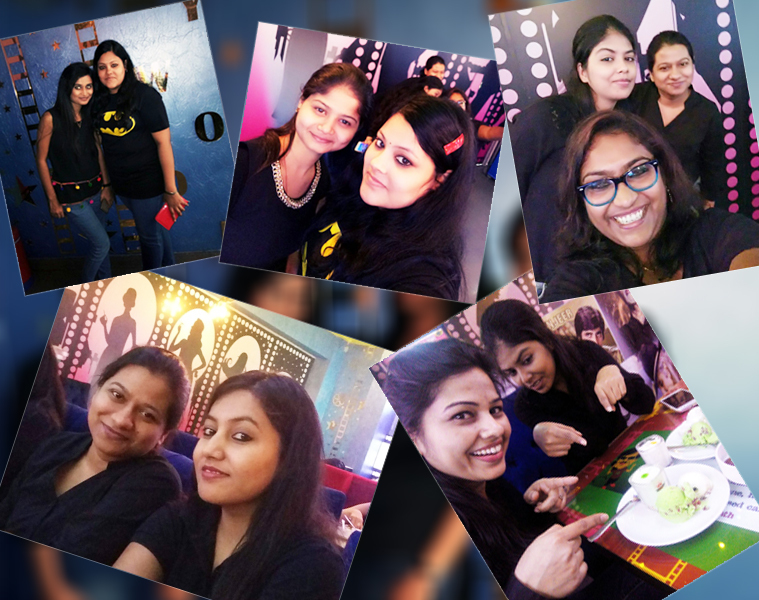 The female brigade was taken for a fulfilling treat at Filmy Flavours Restaurant which is located in Sector-63, Noida. This Fun and funky restaurant is inspired by Bollywood and has an interior which is more like a movie-themed space. The celebrity-inspired surrounding had pictures, posters, statues and more of the well-known faces of Bollywood. Our women employees were provided with a seclusive large table where the starters of the buffet menu were served. They were served with the different delights including paneer tikka, barbecued mushrooms, fried corns, chilly potato and a lot more. Following that, they were furnished with the main course that included Veg Biryani, noodles, Manchurian, Naan, Daal Makhani, Paneer Butter Masala and other side dishes that included macaroni salad, veg salad, etc. At last, they were presented with various varieties of desserts that comprised of pastries, chocolates, ice cream, Indian sweets like “gulab jamun” and much more. After the tummy filling lunch, it was time for the photo session to which our employees posed their best for the selfies and groupies. In a nutshell, it was a fun-packed day for all the lovely ladies of Velocity.